Harvard Law professor and prominent liberal Alan Dershowitz - who has been shunned by the liberal elite of late for defending President Trump - now says that the White House should be alarmed over Paul Manafort's plea deal with special counsel Robert Mueller. MSNBC's Steve Kornacki asked Dershowitz on Friday if Manafort's plea bargain is something "the White House be alarmed about right now?" "Well of course they should be," replied Dershowitz - though he added the rather large caveat that Mueller is "not a credible witness," and would be at best be a corroborating witness against Trump. "There’s nothing he can testify to that would probably lend weight to impeachment because he didn’t have close contact with President Trump while he was president," said Dershowitz. "What they are looking for is self-corroborating information that can be used against Trump… if they can make him sing and then there’s the possibility of him composing, elaborating on the story." Dershowitz added that there is "no doubt" Mueller is trying to flip Manafort against Trump. 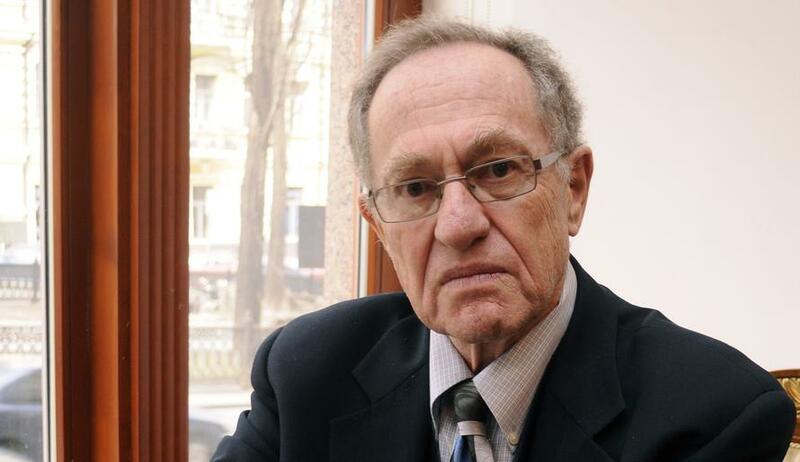 "Once he agrees to cooperate, he has to cooperate about everything, said Dershowitz. "There’s no such thing as partial cooperation." As for Trump pardoning Manafort? That's now "off the table," and that flipping on the President "opens up a lot of doors that probably haven't been opened before." It's a "big win" for Mueller, Dershowitz concludes. Rudy Giuliani, meanwhile, is sticking to the widely reported claim that the cooperation agreement "does not involve the Trump campaign." That said, many - including Yahoo News's Michael Isikoff (the guy whose article containing info fed to him by Christopher Steele was used by the FBI to obtain Carter Page's FISA warrant) - have pointed to potential targets on the left. Those people include former Manafort associates Tony Podesta, Vin Weber and Greg Craig - all of whom failed to register as foreign agents in connection with work outside the United States, as well as members of the Obama administration. Manafort superseding not good sign for Mercury, Weber & Podesta. "Various employees of Companies A and B understood that they were receiving direction from MANAFORT and President Yanukovych, not the Centre." MORE BAD NEWS FOR PODESTA, MERCURY & SKADDEN: As part of MANAFORT’s plea deal, he agrees to testify before all grand juries in DC and "elsewhere.” The inquiries into @PodestaGroup, Mercury & @SkaddenArps are being run out of the Southern District of New York. Also important - Manafort's group met with Obama and Biden in 2013. Their message: don't let "Russians Steal Ukraine from the West." Of course, the thought of Mueller going after "the untouchables" seems a bit far fetched.